Hallo. I am Gabrilduro, the Developer of this Western Mod of M&B WB v. 1.158/1.167. I always dreamt of a Western videogame or of a ACW videogame and this Mod has them both and is an Rpg in 1st/3rd and strategic view. It is for a Single Player Campaign, but has also Custom Battles and a cool Multiplayer (even in Coop mode!) with playable Factions of the American Civil War and Wild Frontier, Mexican Second Empire and Indian Wars. 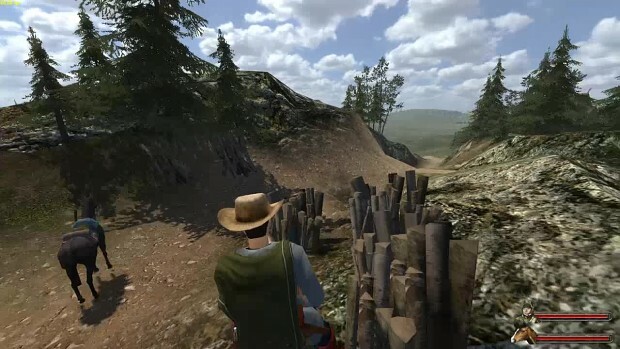 DOWNLOAD LINK for last UPDATES of 1860s Old America is in the Update and Download section. Just click it. Sorry, but you will NOT get any assistance here. Please go to the main Homepage on Talesworld Thread and post a comment there....to get all the explainations, watch Videos, Pics and posts. Thank you Gabrilduro PS....DO NOT forget to RATE the mod in the REVIEW section, folks!!! Finally able to add the THIRD Revolver on the belt. Now you can see THREE pistols on your character waist belt. ...I am working on a new update soon. THX HOTPIKS for uploading my Video! Sounds awesome! :D Looking forward to the next release! YES, YES, YES, I AM BOUND FOR THE PROMISED LAND!